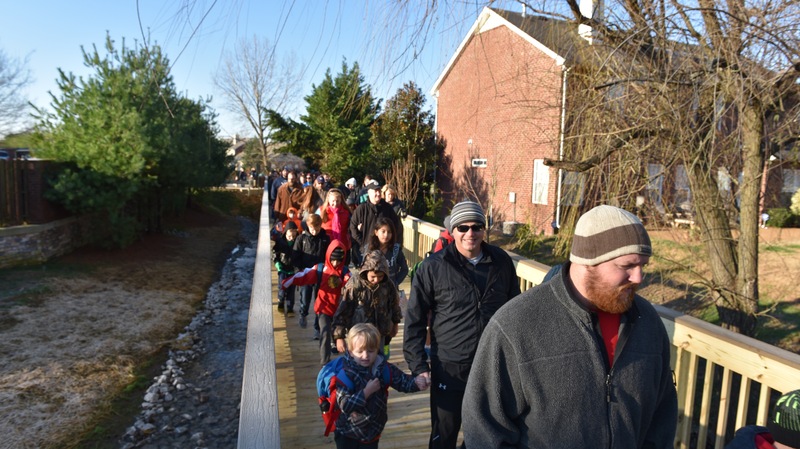 Spring Hill city officials on Thursday, Dec. 3, cut ribbons on two new walking paths in Spring Hill, including the Tanyard Springs Trail and Spring Station Trail. Both projects were funded primarily through state and federal grant funds. The walkway openings also included 'Walk to School Day' events for Summit High and Spring Station Middle school students, with about 50 students participating, as well as about 125 Heritage Elementary students and 50 Heritage Middle School students and parents participating in separate walk events to their respective schools.